Beyond Auckland’s city limits, there is so much waiting for you to explore. A destination offering diverse scene changes without extensive travel time is a luxury when holidaying – and Auckland does just that. 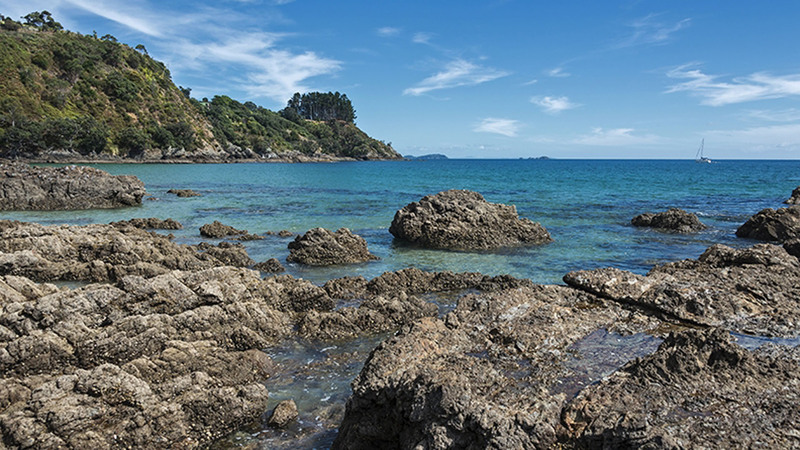 A break from the busy metropolis is just a short trip in any direction, with the rugged landscape of the Waitakere Ranges to the west and the picture perfect vineyards of Waiheke Island to the east. Here’s our pick of scenic side trips within easy travelling distance of the city. The commanding Waitakere Ranges is the heart and soul of the west coast of Auckland, and Piha beach stretches along its far western flank. Following the windy narrow road down to the beach is like reliving a scene from The Piano. With crashing waves, black sand, dense encroaching forest and the formidable Lion Rock dividing the north and south beaches, this brooding beach’s ambiance can shift the moment the sun peeks out. Aside from beaches, Waitakere Ranges offers scenic walking trails for all abilities that take you deep into the native forest, through river valleys and along coastal paths. For those with a more adventurous spirit, canyoning is an exhilarating way to see the forest from the inside out as you tramp, hike, abseil, crawl and jump off cliff faces into pristine water. Cam at AWOL Adventures knows the canyons like the back of his hand and is a great person to help you navigate the jumps, caves and waterfalls during your trip. Hop on a ferry from Auckland for a 40-minute trip over to Waiheke Island and you’ll be transported to a warmer, drier climate, with sandy beaches, a booming local art scene and fantastic wineries. For an authentic wine-tasting experience, Peacock Sky Vineyard is a real treat. Here, tasting sessions are beautifully matched with a selection of fresh, local produce, lovingly curated by husband and wife team Connie and Rob. If you’re more of a history buff, try Jurassic Ridge winery. This small family vineyard sits upon 150 million-year-old greywacke rock, looking out over Church Bay. For an outstanding meal while you’re on Waiheke, head to Mudbrick vineyard and restaurant, one of the island’s best boutique wineries. With a European feel, the mud hewn brick property overlooks rolling hills down onto the water and offers locally sourced food in a la carte or degustation menus. It’s also a very popular wedding spot, with hundreds of couples choosing to tie the knot at this breathtaking location. Beyond Auckland’s city limits, gorgeous landscapes of windswept beaches, rugged cliffs and lush green vineyards are waiting for you to explore. Insure your health when you travel with Medibank travel insurance.